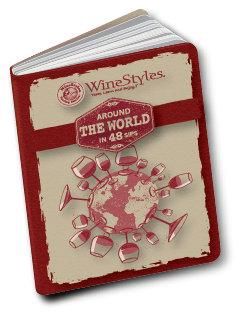 Around the World in 48 Sips! 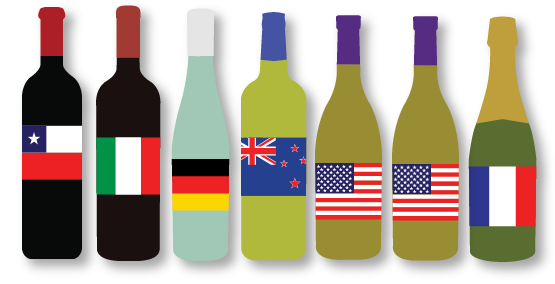 Join us in 2015 as we embark on a virtual wine tour around the world. Each month, we will host an education class, focusing on different wine regions around the world. We are kicking off our ‘Passport Series’ with a Chilean Wine Education class. During each class we will discuss the wine history of the region, appellations within that area, the typical grape varietals of that region, and tasting 6 different wines from that area. You will receive a tasting Passport at your first class. Upon completing the class, we will stamp your passport, acknowledging your attendance. Attend all 8 classes and receive 8 stamps in your passport. The more you learn, the more rewards* you earn! Please RSVP at your local WineStyles location. Seating space is limited, so make your reservation as soon as possible. *Please note, rewards may vary at different WineStyles locations. Offer void where prohibited by state or local alcohol laws. See your local WineStyles Tasting Station for details.